The Witch Golf Club is a public golf resort featuring a single course with 18 holes. 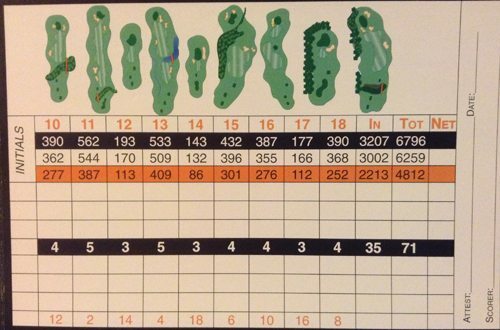 The Witch Golf Course is a Par 71 opened in 1989. The course was designed by Dan Maples. The Head Pro and General Manager is Graham Williams. The course features more than a mile of bridges that are often uses to span swampland and other land features. The Witch also features more than 42 feet of natural elevation changes. The undulation of the area is truly spectacular, and it’s an integral factor in why one hole can feel so aesthetically different than another. The Signature hole at The Witch is the par-4 9th. This hole requires you to drive over a thick marsh, avoid trees on both sides at the bend and clear the water at the font of the green. The most notable hole on the back-nine is the gorgeous, wide-open par-5 11th. The course offers electric carts. The driving range is unlit and has grass tees. There is a practice putting green. The Pro Shop and Snack Bar is open 7 days a week, from 7am to 7pm. Beer is available for purchase. There are no caddies and no golf bag storage. You can rent clubs at the facility and the club offers golf instructions. It is highly recommended that a tee time is booked before hand. You may book via phone between 7am and 6pm or online. A prepaid security deposit is required. The dress code is regular golf attire. The Witch Golf Course has 1 mile of bridges and some alligators. There is a clubhouse on the premises. The site is developed by DG Golf Management, LLC. 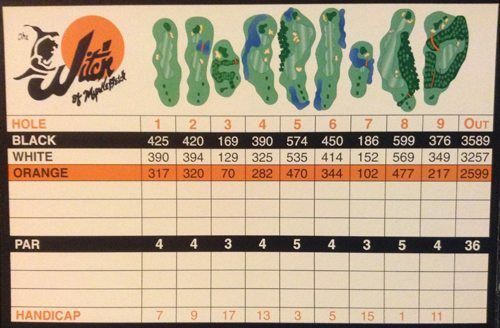 Click here to see the PDF of the golf course and print one out. If you’ve played at The Witch, we’d love to hear your thoughts! Post your comments here! Have you tried playing fantasy golf? Play year round at FanDuel! Read a review of FanDuel here and then redeem this promo code FanDuel offer for 5 free entries into real money golf contests! Learn more about daily fantasy sports at Fantasy Footballer. And if you like poker, be sure to check out Americas Cardroom! Learn more about Americas Cardroom and find the latest Americas Card Room bonus codes here.